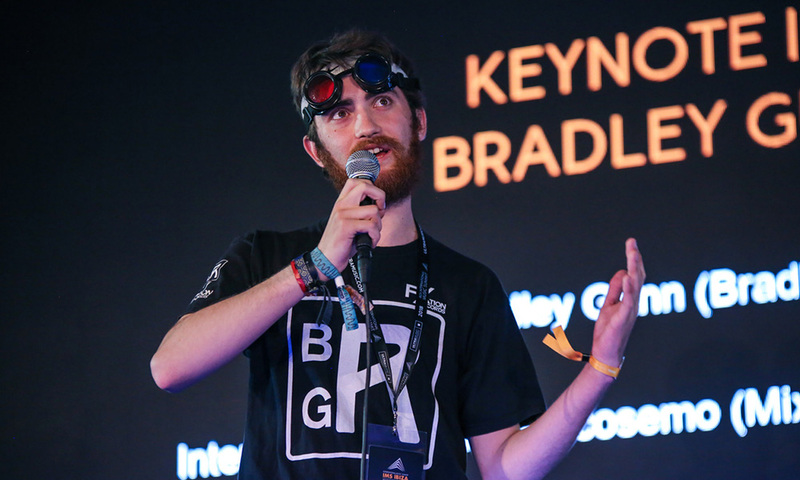 One of the biggest audiences of the day was undoubtedly awarded to viral sensation BRADLEY GUNN RAVER who used the spotlight as a candid opportunity to share how he has broken down the barriers of living with Asperger’s Syndrome through his love of electronic music. Bradley’s keynote with Nick DeCosemo (Mixmag, Global Editorial Director, UK) was streamed live across Facebook to his rapidly growing fan base that have closely followed his journey to fame. “I’ve got this saying ‘Love Life and Rave’. I live it, it simply means what it says, to go out and love your life and rave” he proudly declared before giving the crowd a short preview of his new track, finishing his inspiring keynote to a standing ovation from the room. Blaise James (Remedy State, Co-Founder, USA) and Ben Turner (Remedy State, Co-Founder, USA) reflected deeply on the success of the first REMEDY STATE retreat which took place immediately prior to IMS Ibiza, an essential space for music industry professionals to decompress and balance before the hectic summer work schedule begins. 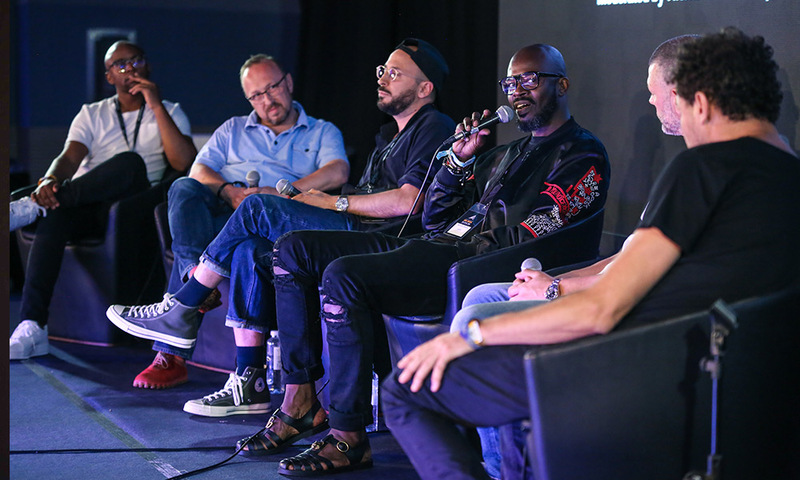 Turner commented “when we started IMS Ibiza 11 years ago we were talking about the validity of the DJ Mag Top 100, now we’re talking about anxiety, mental health and drug safety”, underpinning the importance and relevance of the new retreat. GIVE IT AWAY OR MAKE IT PAY proved to divide opinion and provide exciting debate as the leading managers, label heads and representatives questioned if labels should fight to protect revenue or transform their businesses to maximise plays, in a world where purchase price is a thing of the past. ; “Vinyl forged more of a community. It was a time when people spoke and created friendships over music” commented Dean Wilson (Seven20, CEO, USA) as the full spectrum of business models made the discussion alongside the various platforms of recorded music. With an increase in festivals comes the need to find new locations as the electronic music industry seeks to accommodate pleasure seekers outside the confines of the club. This is a never-ending quest as event organisers struggle to put on parties in new and exciting locations – fighting political obstructions along the way whilst being sensitive to associated environmental impact of their events. IMS Ibiza today gathered some international promoters to discuss the topic more in EMERGING PARTY DESTINATIONS. “It got quite frustrating that we were growing artists and then losing them to bigger parties. A friend of mine mentioned Croatia and we started a new festival with The Warehouse Project, called Hideout. The venues were already there but in competition with each other. We walked in and said we will bring 5,000 people from the U.K and they were like…. Really?” observed Mark Newton (Broadwick Live, Director, UK) ­­. Young Guns Network, a meeting point for young, ambitious media and music professionals, provided a unique focus on the next generating making waves in our industry. In DISRUPTORS, NO RULES, moderated by Cherie Hu (Billboard/Forbes, Tech Columnist, USA), the showcase of impressive and inspiring talent including IMS x Mixmag Visionaires winner Inder Phull (KRPT, Founder/CEO, UK), Lauren Pavan (GRM Daily, COO, UK) and Mich Mellard (Sync Sync, Founder, UK) mused over the various ways company culture is currently breaking down the boundaries of tradition, with Pavan noting “Don’t overlook somebody’s opinion because of their job title.”. 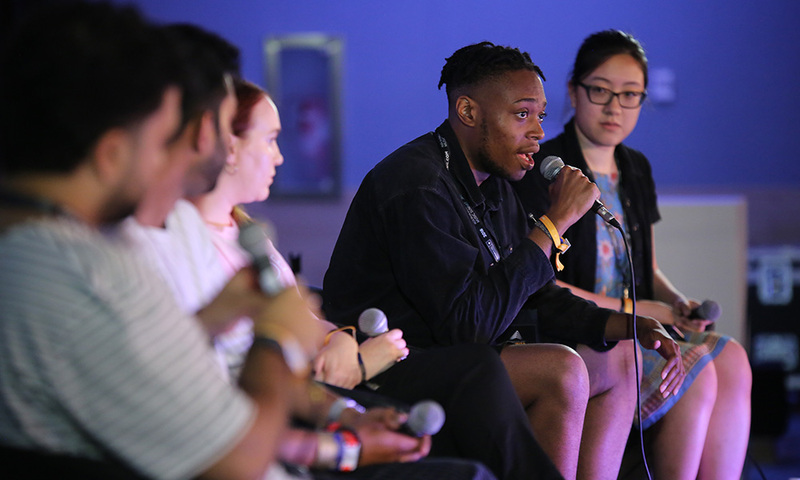 The discussion also covered the lack and need for more mentoring within electronic music and how the passion for the music we love can be continually nurtured via new innovative sources. elrow’s Vicenc Marti (Elrow, President and Board Member, Spain) and Julien Lesaicherre (Workplace by Facebook, Director EMEA, UK) took to the stage to talk the crowd step by step through the various ways the new Workplace by Facebook social platform has transformed their communications both internally and externally and bought to life how the platform allows the creative, open minded ethos of the brand to collaborate across the entire global team. Also on day 2 of IMS, Pierce Warnecke (Berklee College of Music, Assistant Professor, Spain) treated us to an audio/visual showcase in REAL-TIME VIDEO SYNTHESIS; the team behind one of the most unique and exciting of streaming platforms discussed the secrets behind the unique algorithm of the platform in SEQUENCING THE GENOME: HOW TO GET YOUR MUSIC HEARD ON PANDORA; Tim Heineke (I am Pop, Founder, Netherlands), one of the leading experts in Messenger discussed how to build new experiences on chat in MESSENGER/BOTS 101; and UK collecting society PRS FOR MUSIC represented by Ashley Howard (PRS For Music, Dance Account Manager, UK) and AFEM’s Gregg Marshall shared insight on how our continued curiosity of music discovery can ensure rights are paid using music recognition technology. Day two closed with 15 YEARS OF TOOLROOM RECORDS – INSPIRATION & INDEPENDENCE, where brothers Mark Knight (Artist, UK) and Stuart Knight (Toolroom, Managing Director, UK) reflected on building their hugely successful label whilst fiercely remaining independent, with Stuart noting “We don’t want to focus on being underground or commercial – how about credible?” with the panel closing with an invaluable A&R feedback session for the assembled delegates from Mark Knight and the Toolroom team. International Music Summit is an educational, inspirational and motivational thought leadership platform dedicated to creating awareness of, and appreciation for, electronic music, the artistry related to DJ-ing and all related popular artforms, primarily through the presentation of summits and events that celebrate the historic and ongoing contribution of the genre to art and culture worldwide. © 2019 International Music Summit.